StrategicAmpersand is Canada's largest, independent, integrated marketing communications and PR agency specializing in the technology and consumer electronics industries. Their clients include CDW Canada, Celestica, Cisco, Commvault, Kronos, Lenovo, McAfee, Nikon, OpenText and others. 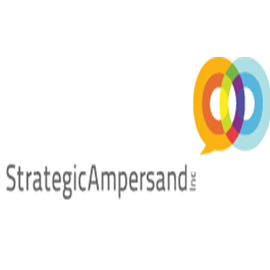 StrategicAmpersand is looking for a Public Relations Coordinator in Toronto, Canada. If you meet the requirements below, you will be eligible to apply via Digital Marketing Community. Operate with and support the PR team to execute strategic public relations programs. Promote media relations and coordinate account. Organize, prepare and distribute Media kit (for media interviews or events) as well as a press release. Develop and maintain the media list. Editorial and ad hoc research projects as required. Oversee relevant coverage (related to client-business or client), including social media, for account team and client. Fulfill client and media requests – distribution of information, photographs, etc. Improve editorial calendars on a regular basis/monitoring of editorial calendars for opportunities. Coordinate and support the event, as required, including venue/AV/catering coordination, and assisting with travel arrangements for journalists (for conferences, events, etc.). A university degree in communications, public relations or journalism or related relevant experience. Minimum 1- year experience in a public relations role. Demonstarted understanding of and experience with social media platforms and tools. Proficient experience in PR tools such as Meltwater and Cision an asset. Outstanding interpersonal skills and the ability to effectively serve a wide range of internal and external contacts. Solid ability to multitask and prioritize projects; works well under pressure.